This entry was posted in making and tagged autodesk inventor, formula, geneva, mechanisms, simple, software. Bookmark the permalink. Thank you very much for sharing the design. I just downloaded it from your Google Drive. Great blog!!!!!! Great. Hope you have fun with it! 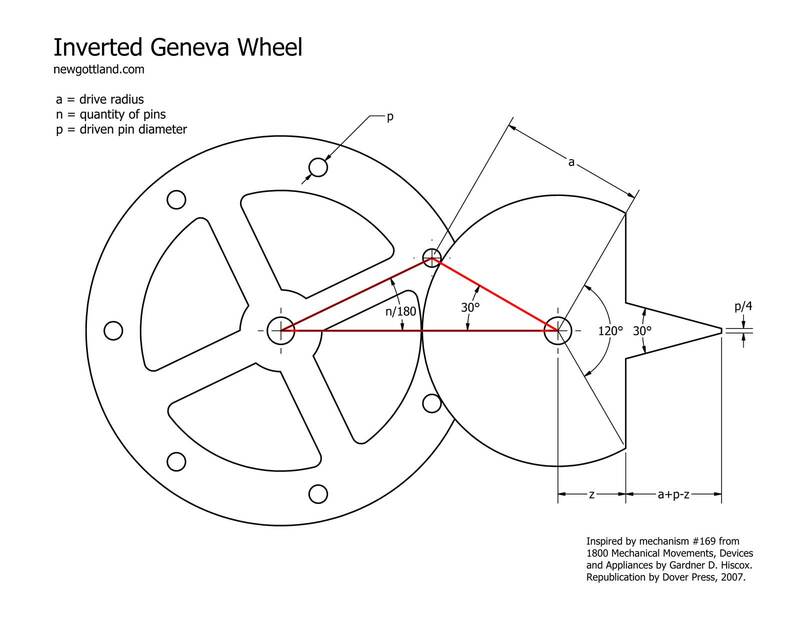 I would like to try build this item (inverted geneva wheel..). But with my basic of math and English too low, So could you help me to know angle of triangle with 12 and 16 slots ( 2 axis distant 80mm) if possible give me diameter of wheel ,Please.Thank you in advance for your time.